Constuction site Security risks and threats you need to know about. 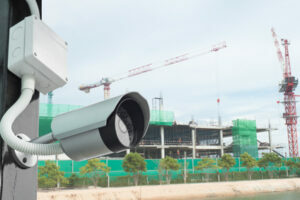 Construction sites with their high value plant and materials tend to prove prime targets for thieves, particularly when they are not adequately secured. Security can, however, present something of a challenge because the construction site environment is continuously evolving and growing in value as the project builds, as well as being open to a plethora of different personnel. Construction sites face numerous threats that need to be addressed with relevant security measures. Aside from threats to assets, there is also the risk of operations being thwarted and the issue of threat to life. What is Most at Risk on a Construction Site? Plant, fuel and materials are the main assets that are at risk through theft, whilst vandalism, attacks on workers, arson and security breaches of temporary site buildings are also very real hazards. There are also risks in the form of access by protestors who may seek to achieve anything from publicity through to damage or destruction of the site. Construction site managers also have a duty to protect the public. The Health and Safety Executive (HSE) states that all construction sites require measures to manage access across defined boundaries and steps to exclude unauthorised people. Shockingly, each year, two or three children die after gaining access to construction sites and many more sustain injuries. Members of the public are also seriously injured on a regular basis by falling into trenches; being struck by moving vehicles or plant, or by tools or materials falling outside of the boundary of the site. Following a site-specific risk assessment, it should become apparent as to the level and types of security and protection that should be employed in order to meet these objectives. In many cases, any one security solution may contribute to more than one of the objectives. For example, a strong perimeter fence will act as a deterrent and will also delay entry. Similarly, intruder alarms, CCTV, high quality locks and signage advertising the security measures in operation will all act as deterrents. CCTV and intruder alarms will in addition detect and aid a response and locks will delay entry. CCTV and access control measures will ensure that only authorised personnel are able to access the site. CCTV will also allow identification of intruders and act as evidence in a prosecution. So it is clear to see that individual security measures can have multiple benefits. But it is vital that a multi-layered approach is adopted rather than relying on a single solution. Construction site security should incorporate a variety of measures. In other words, starting at the site boundary, incorporate a series of physical measures to meet the requirements of the risk assessment, and then support these with electronic back-up. So for example, perimeter fencing and barriers as physical measures, backed by controlled entry points, CCTV and intruder alarms. This strategy will ensure that if an intruder does overcome a physical layer, they will be further impeded by detection methods that will prompt a response. Providing the physical barriers are designed to prevent entry for as long as it would take for the appropriate response to arrive (i.e. security guard or police), then the strategy should prove effective. Construction site security should incorporate a variety of physical measures, i.e. fences, barriers, gates, secure storage facilities and bollards; and technical measures including CCTV, security lighting, access control and intruder detection systems. If you are seeking tailored guidance on securing a construction site in line with the individual risks you have identified, Barry Bros Security can provide the assistance you need. With several decades of experience in designing multi-layered security strategies for a variety of industry sectors, you can rely on our expertise. To arrange your individual consultation please get in touch.